PAIN MANAGEMENT: We emphasize pain management and comfort. Class 4 Laser Therapy is used post-operative to reduce pain and accelerate healing. 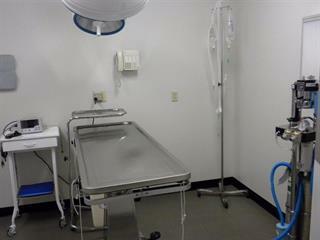 We also provide pre- and post-operative pain medications. SURGERY: We perform both out-patient and in-patient surgeries. Neuters and spays on cats and dogs are done as out-patient procedures, so your pet can be home with you the same day in most cases. Procedures such as tumor removals, gastrointestinal foreign body removal, and oral surgery are performed on a regular basis as well. You will find our spay and neuter prices are competitive with other private practices. We do not "cut corners" to compete with low-cost mobile clinics. We take surgery seriously. MONITORING: A certified Registered Veterinary Technician (nurse) monitors all anesthetized patients from induction to recovery. Not only do our techs auscult the heart, we use state-of-the-art Cardell electronic monitoring. 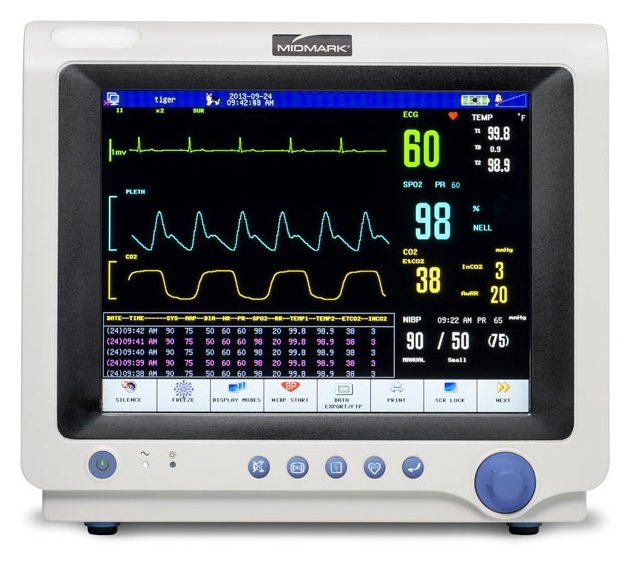 With electrodes hooked to our patients along with a SPO2 (oxygen) probe, CO2 probe, temperature probe, and blood pressure cuff, we measure all critical parameters.